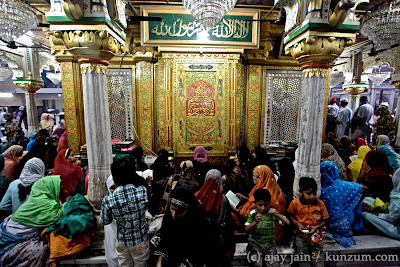 The Urs, or death anniversary, of Hazrat Nizamuddin Auliya, Delhi’s 14th century Sufi saint. From 10 March 2012 to 14 March. In Sufism, a saint’s death is not mourned, it is celebrated. Urs means “wedding” in Arabic and it symbolizes the union of the lover with the beloved, who is God. 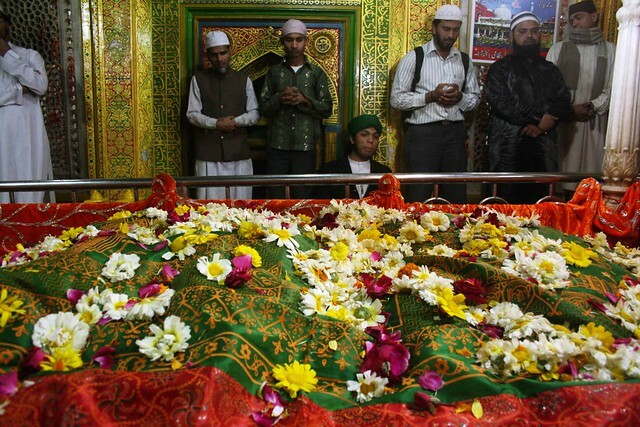 Hazrat Nizamuddin Auliya passed away in 1325. He was buried in the chamber where he meditated and died. His shrine is built around his tomb. 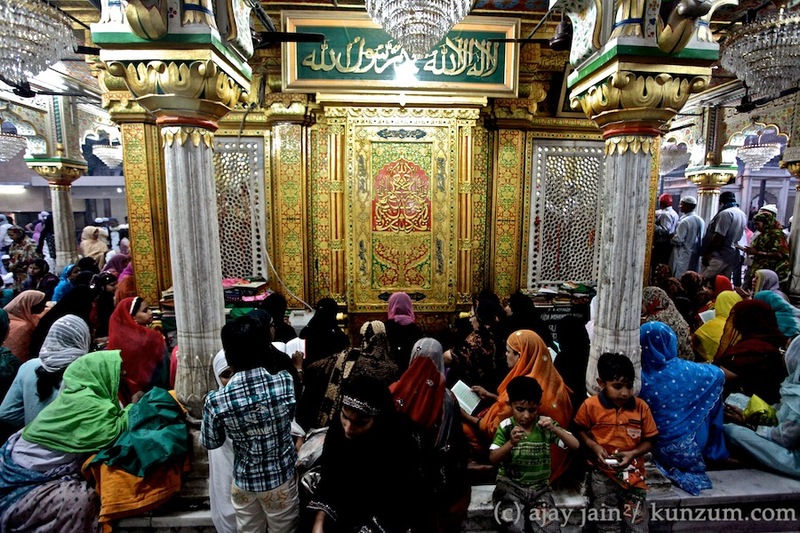 A village of the same name – Nizamuddin Basti – came up around this dargah. 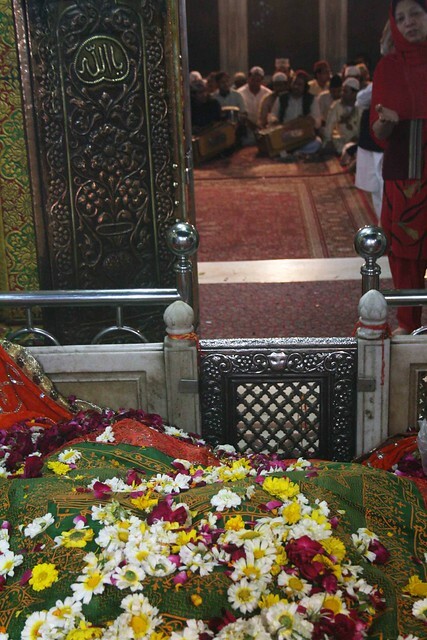 Hazrat Nizamuddin’s 708th Urs started on the evening of 10 March. 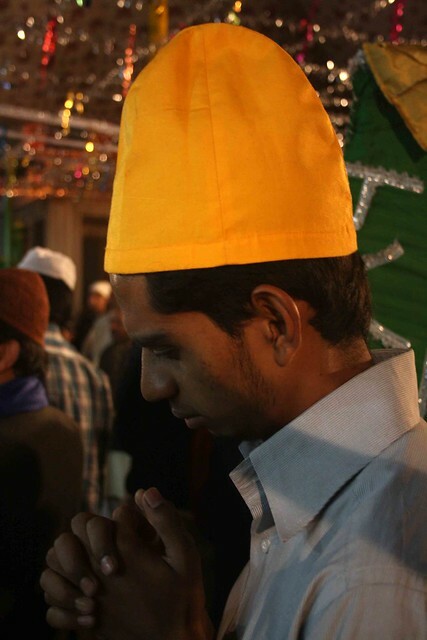 A few select verses from the Quran were read at a gathering in the dargah’s courtyard. (See photos of the ceremony). The next four days are hectic. 11 March: A special prayer at 8.30 pm, followed by qawwalis, the music of the Sufis. 12 March: The most important day of the festival; a prayer at 11 am, followed by a qawwali assembly. 13 March: Same schedule as the day before. 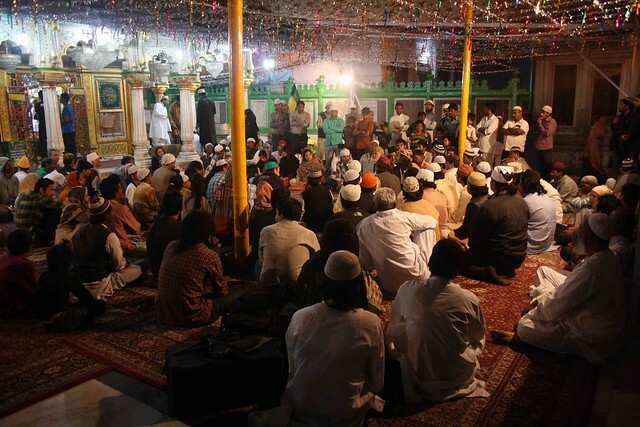 14 March: The closing ceremony of the Urs at 7 pm, concluding with qawwalis. Where: Hazrat Nizamuddin Dargah, Nizamuddin Basti Nearest Metro Station, Jangpura.